You find a perfect Mithuna (Gemini) man in any general knowledge competitions. This man has a tendency to remember to many bits of remotely related facts making his own 'keys' to commit them to memory. He is a walking general knowledge bank. Rarely, we come across a mithuna born having specific knowledge! His knowledge is superficial. He is 'jack of all and master of none'. By firm commitment to learn a particular subject, he can confine his always wavering mind and become a successful man. Even then, within the subject he has selected he often drifts. Mithuna (Gemini) man is a tall and slim man at the beginning. He would put on weight easily towards middle ages and should constantly guard against obesity. He is very active physically compared to his body weight. He is mentally also very active. He is always a dreamer, jumps to conclusions very fast. He has strong will power to make most of his dreams come true. He builds castles in air and is also adoptable if the castles do not come up! He shows lot of interest in human beings and places. 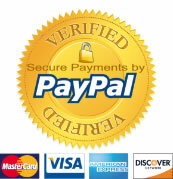 He constantly updates his information regarding his officemates, relatives and friends. Mithuna (Gemini) man is very diplomatic in nature. He always tries to please all the people. So, finally nobody would know his ideas. He does not disclose either! He is capable of doing too many totally different tasks at the same time. He is an all rounder plays chess (or any such think-games), learns music, attends to his heavy work load in office and also pursues his masters degree! He will at times get mixed up. When the pressure is too much, he may crack. He will not be violent howling like a jackal but will suffer inside leading to depression. What hurts him most is - being ignored. He can afford to have competitors, enemies or friends. But he dislikes to be ignored. He has good married life. He has long time commitment in his friendship. He has a large number of acquaintances. Only he has to disclose who is the close friend and who is an acquaintance. He keeps it a secret. The professions most suited to Gemini are: journalism, publishing, accounting, judiciary, marketing, teaching, social organizations. Wherever he is placed, he easily becomes the official spokesperson. As an employer, he is a time seeker and gets his promotion in time! He manages his reports in such a way. Often, he would lapse into thinking mood and though he is nodding to whatever you say - he would not be listening at all. He is fond of his children but then not all the children. He will not express his love towards his children, but is a good provider. He does not have leadership qualities. At best, he can get the work done mentioning that his boss wants it done this way. You can hear him saying, "Madam said,". He would not say, what he said to Madam. In all the possibility, he would have said, "How right you are, Madam!" He does not want to take the bull by horns. If he disagrees, he would inform politely but repeatedly. In any labor unrest, Gemini plays a role of bring two warring parties together. He can be easily cheated with facts and figures. Just get a couple set of reports, graphs, financial statements, he is ready to invest in real estate on Mars. If he does not take care, his investments will go waste like this. As an employee, he is a whale of knowledge, who can recite all the rules, regulations, old pages from the history to the current affairs like who is who and who is whose man in the set up. He does his work very fast, does various things at the same time. He will not get tired of mental activities. He can sit with you till late evening assisting you. He always enjoys being close to the top brass. He does not have any feeling of dignity; would fix your tea, if you so desire. He would call you up when your holidaying in Hawaii to enquire your well being. He would tell whole office, that boss wanted to know certain happenings in the office through him. 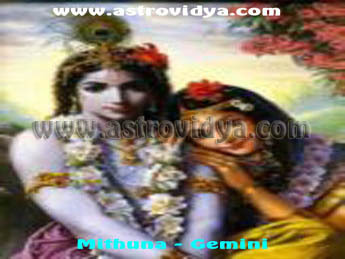 Mithuna (Gemini) man will flourish well as along as he is second in command. He is at his best to help someone implement the ideas but if he becomes an absolute boss, he will be a total failure. Either he becomes a 'name sake' king or a 'Tagulak' for his fanciful rule. He is good at making money and also knows the limit. Without the knowledge of his staff, he would be siphoning out the treasure trove o the company! 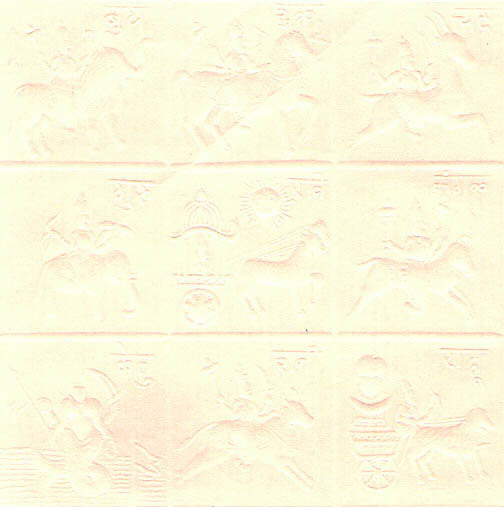 Mithuna (Gemini) man needs to cultivate morality. The negative Gemini is without proper directions in life. In his attempt to be more adoptable, he chases the wild goose, catching none. He needs proper god-fathers or firm supporters as he is easily discouraged. He is workaholic and too much mental work makes him seek early retirement if he does not get along with his superiors. When teamed up with a bad master, he suffers humiliation by others while the boss escapes. A negative Gemini is deceitful person who sets brother against brother. He is prone to both nervous and mental problems. A Gemini suffered mental break down as he could not get through IAS, though he could have got any other high profile job with his qualifications. Gemini born should always be careful to take mental relaxation. The description above would be prominent if moon is in the middle of the sign. For complete analysis of character, future trends, suitable gem stones an personalized approach based on horoscope is desirable.